Thank you for joining SwipeToMeet beta. 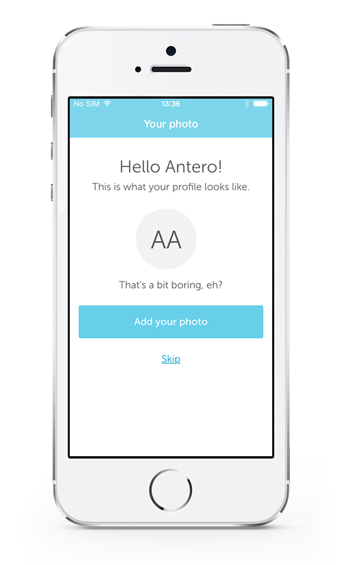 As a beta tester you are in a crucial role of helping us make the app as polished as possible before the actual launch. Whether it’s for business or for trying to arrange a dinner with friends, we would like you to use SwipeToMeet as much as possible during the focus group beta. We will contact you personally when you are accepted to our focus group beta. After this you will need to install the beta application. We use Apple Testflight for beta testing. It’s an app that allows us to distribute our prerelease application for a limited group of hand-picked companies and individuals. Testflight can be downloaded from iTunes here. When you are added as a tester, you will receive an email from Testflight notifying that SwipeToMeet Beta is available for you to download. Open the email with your iOS device and click the link in the email to get authorized to SwipeToMee beta. After this SwipeToMeet will be downloaded to your device. Step-by-step instructions on how to get started after the application is installed. Fill in more detailed information about yourself to let others know who they are meeting with. Add your picture to make your profile a bit more personal. Connect your calendar with the application to provide your own availability. Choose which of your synchronized calendars you want us to use for defining your availability. Your setup is done and you are now ready to start scheduling your first meeting. Whether you're trying to get your team together for a brainstorming meeting or gather your friends for an afterwork here's how you schedule meetings with SwipeToMeet. To set the framework for the scheduling, you will answer three basic questions, When, How long, and where. Select from the default answers or customize your selection using "other". To create a scheduling with custom rules you can play around the settings by tapping "other". Use this if you for example want to have a meeting on a specific day of the week etc. Add people who you want to invite to the scheduling. Tap on "+" to add people from your device's contact book. You can also manually add participants with their phone number and name. Review, add agenda and fine-tune your scheduling settings before sending the scheduling invites. Scheduling is started and the invites are sent. Now it's up to the participants to answer the given suggestions. To keep the setup simple we make the presumption that as an organizer your selected calendars are up to date. Those calendars are used for defining your own availability and therefore no swiping is required from you. To ensure a quick and safe delivery, we send the invites from the service using SMS (or push notifications if the participant has the application). If we can't reach the participant via SMS or push notifications we send them a couple reminders and then an email.